Overview & specs of Bodum Bistro 11160-01U Electric Coffee Grinder by Currys PC World. Grind your coffee beans in style and speed with the Bodum Bistro 11160-294UK Electric Coffee Grinder.Great grind consistencyGrinding coffee beans directly before you add hot water really does give you a more satisfying, sophisticated beverage. With its simple push button operation, the Bistro Electric Coffee Grinder gives you manual control over how long you're grinding your beans for, and the transparent lid permits checking on how fine your grind is to achieve perfect consistency.Compact, convenient and colourfulThis adorable electric coffee grinder is smartly finished in black, its small size maintaining an uncluttered kitchen worktop and a cord tidying feature underneath only making it a neater appliance.Quality componentsWith stainless steel blades for excellent grind consistency and a rubber outer body for easy handling and stability, the Bistro Coffee Grinder is solid and safe, and is a visual complement to any kitchen.Blend a perfect cup of coffee for yourself in ease and style with the Bodum Bistro 11160-294UK Electric Coffee Grinder. 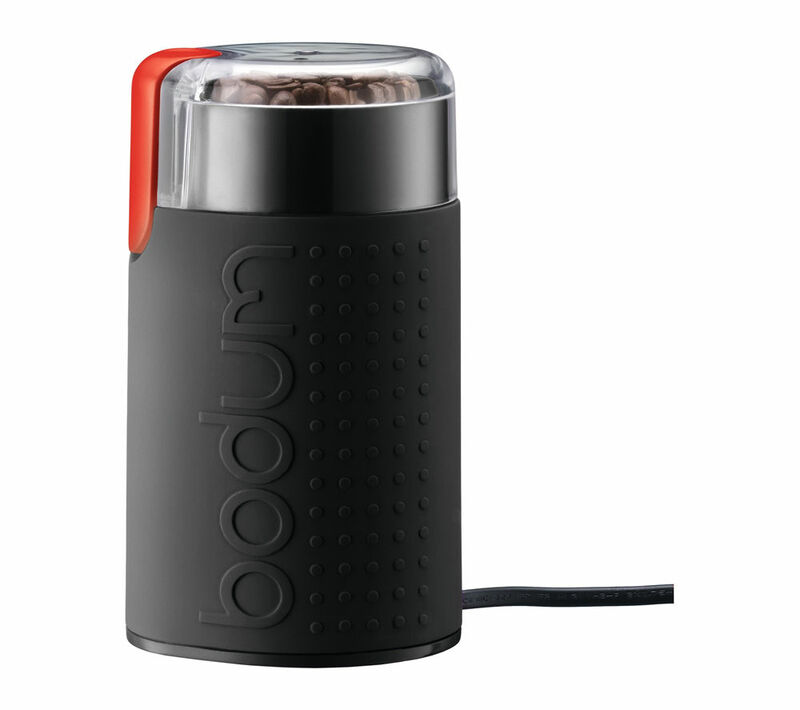 We are comparing prices for Bodum Bistro 11160-01U Electric Coffee Grinder in new condition sold by Currys Pc World, Argos.